I can't stand okra in a gumbo -- its the slimy texture. I've never bought it, cooked it or eaten it on its own. In fact, I've passed on a lot of "star chef" gumbo dishes in New Orleans and beyond because of my distaste for (and fear of) slime. But, I couldn't resist buying a quart at the Southampton farmers market on Sunday to experiment with. A brilliant green, fresh bundle of just picked, and crisp looking okra just wanting me to take it home. Too pretty to pass up, I wanted the challenge of making "edible" okra. Before embarking on my experiment, I picked up a few tricks for getting rid of the slime (and couldn't help but think of the slimer in the movie Ghostbusters). The consistent advice was to soak it -- in milk or vinegar -- for 45 minutes, rinse it clean to de-slime it, and dry it before and after slicing. As well, it's important to keep the okra dry during cooking (a liquid stew, such as gumbo, brings out the slime from the pods). I used the milk method as I was afraid the vinegar would leave an aftertaste, and sauteed the sliced okra -- which I had dried carefully with a paper towel before tossing it in the pan -- about 10 minutes in 2 T of olive oil and 2 t of curry powder until browned before adding a diced onion and some diced tomatoes from the garden. 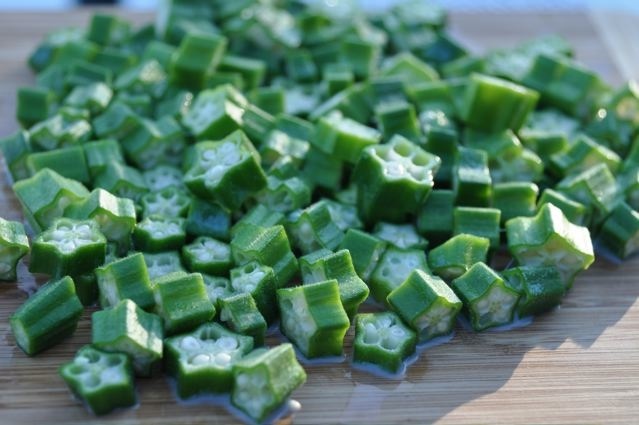 The milk method: Soak the slices of okra in milk for about 45 minutes. 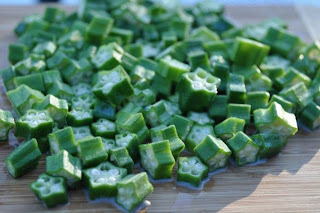 When you drain the milk, you'll see that the milk has pulled most of the "slime" out of the okra. Okra just naturally becomes slimy when cooked in a watery environment, such as in a stew or a steamer basket. 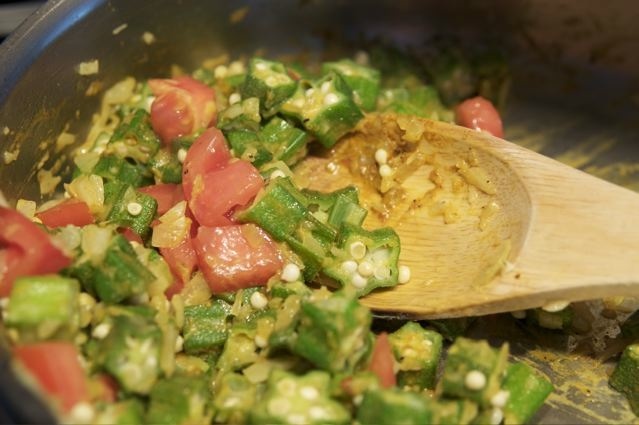 Stir-frying or sauteing in hot oil, helps keep the slime within the okra pieces, or perhaps causes the moisture in the mucilage to evaporate, thus improving the pods' texture. Another trick to cut the slime is to wash it and dry each pod completely before you chop it. The knife and cutting board must also be dry. If slime collects on the knife, keep wiping it dry as you chop. Covering the pan while cooking also makes it ooze so that's another thing to avoid. when it is time to add it to a gumbo, or dish that has lots of liquid as the base, you do it when that dish boiling so it cooks quickly and does not have a chance to exude that slimy stuff. Henry, my husband, a Southerner and foodie, was aghast. He's not a big fan of okra and still isn't despite my delicious sauteed and slime-free curried okra medley. I, however, am an official okra convert at least for the pan fry "dry" method way of cooking farm fresh and local okra. The whole quart is gone! 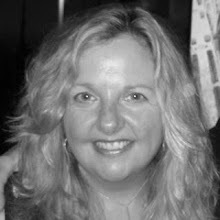 Dan's Papers (Hamptons) "Lighthearted Locavore...inside scoop...on the local market scene". Citigroup's Woman & Co. "Lighthearted Locavore... focused on ways to bring high quality foods ("slow" and "good" food) back into our culture." Lighthearted Locavore listed on The New York Times City Room Blog here. Best Green Blogs Top Ten Locavore Blogs. © Alexa Van de Walle 2008-2016. Simple theme. Powered by Blogger.